“Negative” findings question earlier reports of a link between CMV and brain cancers. Public Health England welcomed the research but said less than half of the population realised that obesity made a person more likely to develop cancer. "Patients should realise that that the timing for these results to hit even the initial clinical trials is several years away." The US team believes that nose swabs could play a part in diagnosing lung cancer in those at high risk of the disease. For women who choose to postpone recommended surgery, specialized screening protocol may reduce the chance of detecting ovarian cancer in late stages. Testing for HPV would be an upstream way of testing for cervical cancer risk — allowing for earlier detection, cost savings, and even opening the door for at-home testing. There are signs it’s catching on. Detailed Results Will be Presented at the 16th International Myeloma Workshop (IMW) in New Delhi. Kite will need longer-term data to convince people it truly has a cure on its hands, but it now has enough evidence to make its case to an FDA that has shown its willingness to grant early approvals of cancer drugs. Some observers were rankled by Kite’s claim of a potential cure, noting that the therapy still has a long way to go before its durability can be fully assessed. A hopeful sign: the number in complete remission at six months — 36 percent — is barely changed from partial results released after three months, suggesting this one-time treatment might give lasting benefits for those who do respond well. Full data from the primary analysis will be presented at the American Association for Cancer Research in April 2017 in Washington, D.C. In the pivotal study, 77 patients with advanced diffuse large B-cell lymphoma (DLBCL) were treated with Kite's KTE-C19. The complete response rate at six months was 31%. That compares to a complete response rate of 33% at three months. "Certainly a challenge that has been laid down in front of many of us at Novartis (is) we don't have a marketed PD-1 or PD-L1 agent," Hammerman, one of the world's leading cancer experts, told Reuters in his first interview since joining Novartis. If these things are robust and reproducible, the inventors should be out winning Nobel Prizes and astonishing the scientific community. I mean, they claim that a radio frequency signal can do the same thing as drug molecules in solution, and that each drug has a specific RF signal, which can be recorded and played back at will for therapeutic effect. The work will be carried out by scientists at Cancer Research UK’s Drug Discovery Unit at The University of Manchester, after the new family of compounds was identified using HitGen’s leading technology platform. New indication concern combination with lenalidomide and dexamethasone, or bortezomib and dexamethasone in patients with multiple myeloma who have received at least one prior therapy. 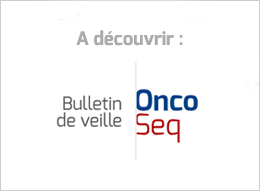 Pembrolizumab is not recommended, within its marketing authorisation, for untreated PD-L1-positive metastatic non-small-cell lung cancer in adults whose tumours express PD-L1 with at least a 50% tumour proportion score and have no epidermal growth factor receptor- or anaplastic lymphoma kinase-positive mutations. "The exact size of the overall survival gain for Keytruda compared to the current standard of care was uncertain because of the immaturity of the data." While scientific knowledge relevant to precision medicine has increased substantially in recent years, translating these findings into the clinic to truly transform patient care remains difficult. “It appears as though the underlying risk of disease is increasing,” she said. No one knows why. Dr. H. Gilbert Welch, a professor of medicine at the Dartmouth Institute for Health Policy & Clinical Practice, says what look like additional cancers in people under 50 may simply be cases that are being diagnosed earlier than they would have been. Three in ten rectal cancer diagnoses now in patients under 55. For health care professionals, they can no longer assume that abdominal signs and symptoms such as blood in the stool can be passed off as hemorrhoids. It could be an underlying cancer, and people with that medical complaint may well need a more thorough evaluation. Throughout the presidential campaign, Trump called for the elimination of regulations and faster drug approvals. But he has not described how precisely he would speed those approvals and has not yet nominated a commissioner to head the FDA. The president wants to dismantle the FDA to usher in more medical “miracles.” Here’s why that won’t work. Now the biotech industry wants to know if a new FDA commissioner appointed by Trump would change the balance of safety and efficacy data needed for an approval, changes which may benefit individual companies but erode the gold standard long demanded by the agency. They estimated that there were 263,600 cases of skin cancer in 2015 that could be attributed to the use of tanning beds. The researchers then summed up the average annual cost of treating patients with each type of cancer, which totaled more than $343 million each year. EDGE isn't the first tool to simplify informatics with a point-and-click interface. Indeed, it lacks much of the flexibility and scope of more established alternatives such as Galaxy and Illumina's BaseSpace platform. But its simplicity is drawing in users who might otherwise shun bioinformatics. According to Mr. Madisch, the social network has signed up 12 million scientists, or roughly 60 percent of all such potential users worldwide. Researchers now upload roughly 2.5 million papers to ResearchGate every month. In comparison, scientists added the same amount of research over the first four years of the network’s operation.